Before I set off again, this time to explore a beautiful country in Central Europe, I want to leave you with something that will give you a fresh, healthy start for the weekend that approaches. Some vitamins and nutrients to give energy for all the activities you have planned. 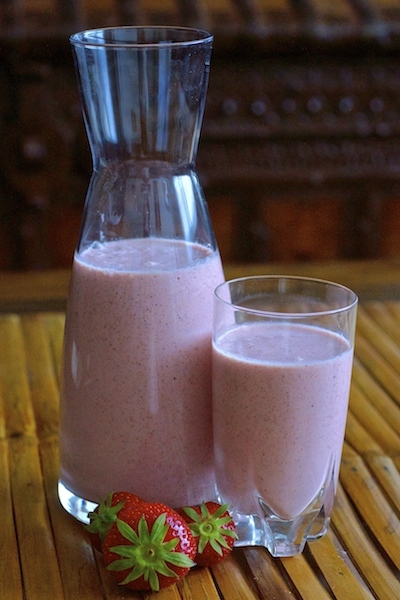 I hope you’ll enjoy this Chia Strawberry Smoothie as much as I did. The inspiration came when I saw these beauties at the market. I couldn’t resist them! 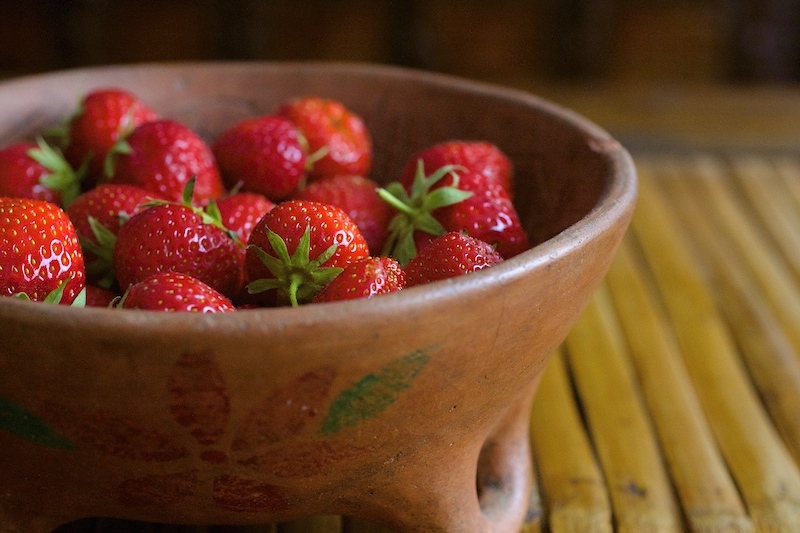 Strawberries are everywhere now and bring an extra colorful atmosphere to the market place. Besides their sweetness and juiciness, you probably know strawberries can boost your immune system, fight bad cholesterol, even give you a younger looking skin among other benefits. 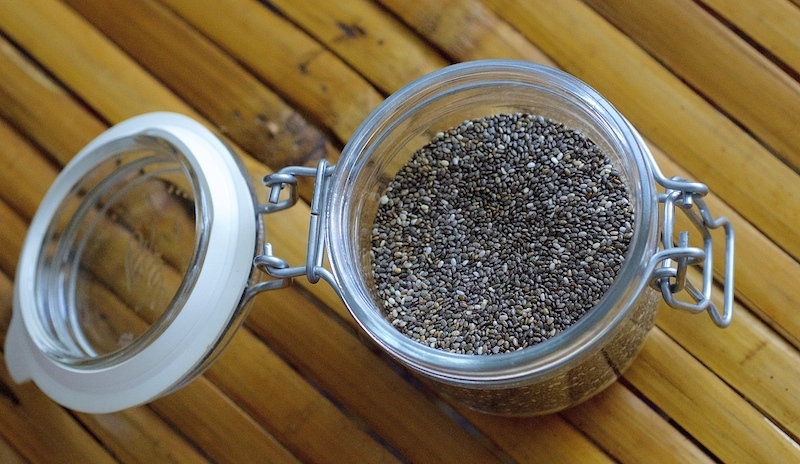 As for the Chia seeds, a lot has been written about them. They can help you lose weight, prevent coronary heart disease, diabetes and boost your endurance among so many other benefits. Marathon athletes use them often during the race mixed with their drinking water to give them that extra boost. When I’m feeling a bit tired, chia seeds in a smoothie or even water are perfect to raise up my energy levels. Considered one of the super foods, they should always be in your pantry. So here it is, adapted from a recipe by the Portuguese Gabriela Oliveira. Put all the ingredients into an electric blender and blend until smooth and creamy. It is that simple! Have a wonderful weekend, enjoy the nice and sunny weather if you have it. Go out, walk, run, swim! Spring will soon say goodbye and summer will take over. It is time to be out there, explore, spend time with friends and loved ones and enjoy life.